Spring is here and we are calling on GoManitoba users comfortable with cycling and transit to become mentors. 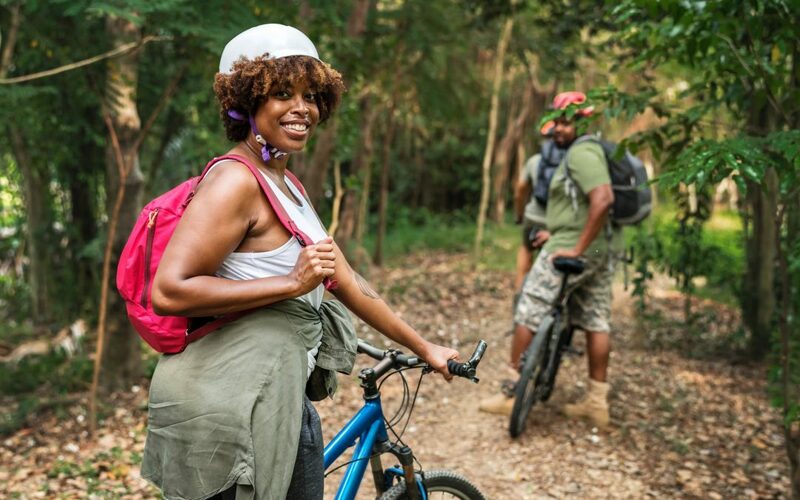 As the weather warms, more and more individuals will be curious to bike or bus for the first time, but they may not be comfortable going alone. Having a mentor along their route to shadow is a fantastic way to invite new people to try these healthy, sustainable modes! Becoming a mentor is easy! Simply follow these steps for your routine trips in GoManitoba. Message a match! Reply to messages you receive, or reach out to users with low skill ranks and offer support. Enter the trips you make by transit and/or by bike into your Commute Calendar. P.S. Congratulations to Sandy, Jennifer, Chitsimran, Jeff, and Tarpan – our winners of the Jack Frost prizes in February! P.P.S. Did you know you can use GoManitoba for Single Trips? Learn more about how you can use this tool to find carpool partners to Folk Fest, the beach and more!